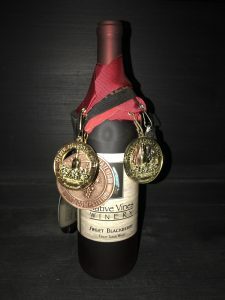 Wine Tasting is available for $10.00 per person. 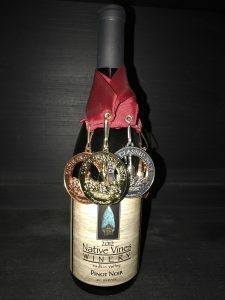 Tasting includes 7 of our award winning wines, of your choice, and a souvenir stemless wine glass to keep. Valid ID required. 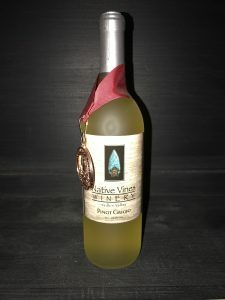 Crisp clean white wine with flavors of melon and pear with a nice soft straw color. Our Pinot Grigio pairs well with seafood, light pasta dishes or cheese and crackers. Light and refreshing white wine with a hint of sweetness to soften the tart citrus notes. The Sauvignon Blanc is excellent with seafood dishes. Off-Dry wine with stronger tropical notes. This Riesling is a great sipping wine or is even great paired with cheese. This wine is full bodied and a lightly oaked red wine. Fruit forward with its jammy berry flavors and a light liquorices notes in the aroma and finish. This Pinot Noir pairs nicely with meats but also fruity enough to pair with a lighter fare. 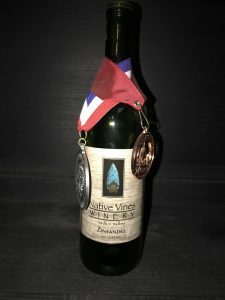 This wine is a 2016 Full Bodied and medium oaked red wine. 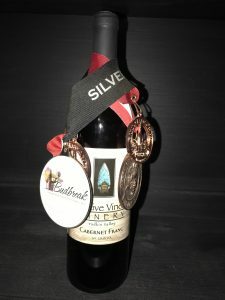 Our Cabernet Franc has deep dark stone fruit flavors with a hit of cinnamon in the finish. 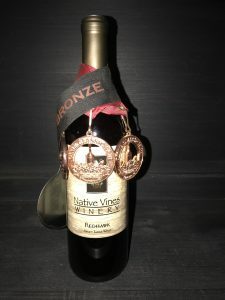 This Red Zinfandel is a 2014 Full-bodied with deep red color and spicy, peppery flavors and has a fruity finish. Serve this wine with meats, stews and wild game, especially grilled foods. Semi-Sweet Blend Chenin Blanc, light-bodied white, with soft notes of peach and honey. 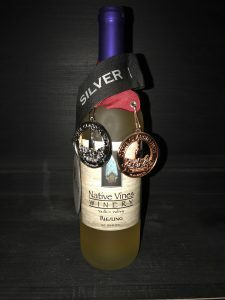 White Buffalo is best served chilled with light fare, blue cheese. 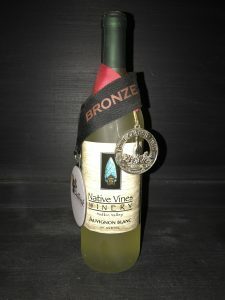 A non-grape, semi-sweet fermented tea created here by Native Vines Winery. 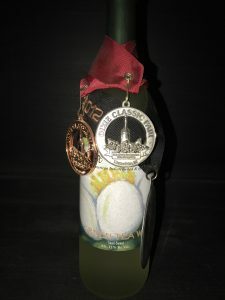 Made by using 100% Organic Tea, very light and delicate. Created to pair with Lexington BBQ, but works with anything Ice Tea is served with. Warhorse Red is a semi-sweet blend of our aged oaked reds and cherry. 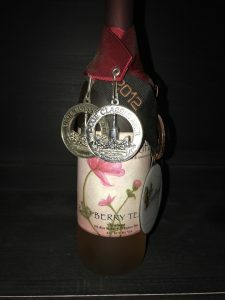 It has Big Cherry aromas with a hit of clove and vanilla in the finish. Semi-sweet made with 100% Organic white tea and fresh Raspberries. Big Berry flavors with a slight finish of tea. Raspberry Tea is very good with cheesecake. 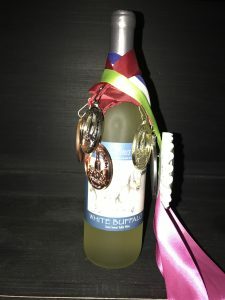 A refreshing and light sweet wine made with farm fresh green apples. Sweet Apple pairs beautifully with Roast Pork. Best served chilled. 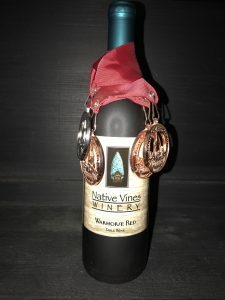 Sweet Full-bodied red wine made with the Merlot grape, very rich berry flavors. Makes a wonderful Wine Ice Cream, or Slushy. Best served chilled. Perfectly sweetened wild berry wine that burst onto the palette with full berry flavors. Best when served chilled. This wine is sinfully delicious and a wonderful dessert wine. 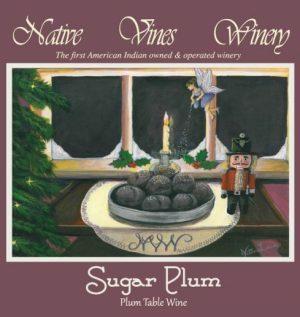 Deliciously sweetened plum wine, with a holiday table that displays the Sugar Plum fairy and a Nutcracker, making this a perfect gift for the season. 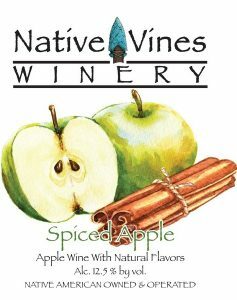 Our traditional Sweet Apple wine mulled with cinnamon, allspice, ginger and more. Apple pie in a bottle! 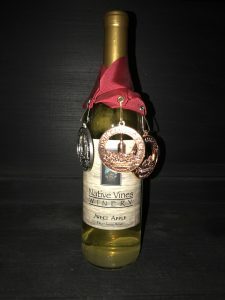 This wine is perfect to serve warm during the cold winter season.